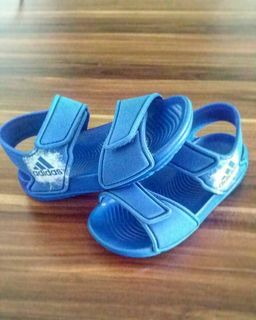 Sandal renang untuk buah hati yang sedang tumbuh. These ideal infants' swim sandals offer up fully adjustable straps that are a perfect fit for growing feet. With a contoured, comfortable footbed, these sandals drain water and dry quickly to make beach days a breeze. The lightweight EVA upper features the adidas logo.